Since today is Earth Day, I thought I would share with you some of my green beauty essentials. I’ve been purchasing more natural products a lot over the last few years, especially when it comes to skin, body and haircare. This is a topic that is very dear to me, so I’m surprised I have not yet shared these products yet. I’ve been leaning toward purchasing fewer, but better quality products when it comes to personal care. I know, I could definitely do the same in regards to makeup, but I just can’t… yet. As I said, I’ve been paying so much more attention to ingredients, ethics and sources of the products I’ve been using. There are so many great brands on the market that offer these clean solutions, and I have found them to be extremely accessible. My favourite sources for natural beauty are National Nutrition (which I visit in Orillia, Ontario) and well.ca (which is based in Toronto & Guelph Ontario) so hurrah for supporting local businesses too! Let’s jump in and go over all the great natural and green goodies I’ve been using, loving and hope you get inspired by! For skincare, I’ve actually really paired down my everyday routine quite a bit. 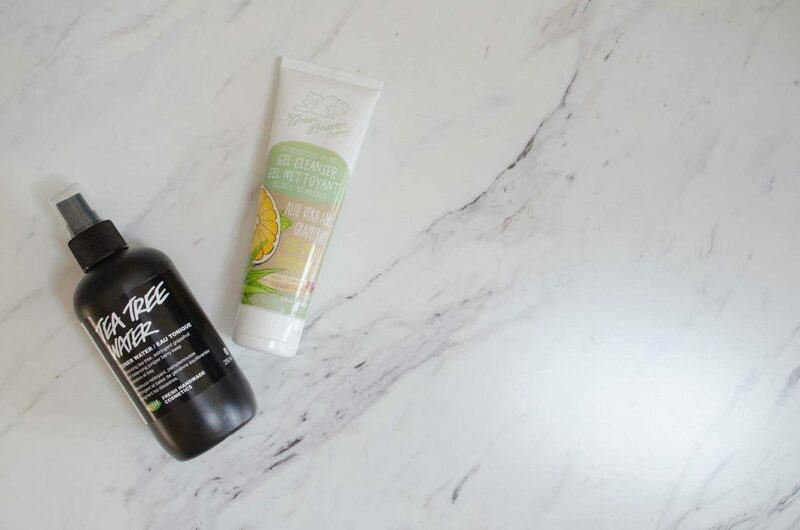 I’ve been using The Green Beaver Gel Cleanser both morning and night for an easy cleanse. This stuff is no-fuss and delivers all the sudsy qualities of a traditional cleanser, but it’s all natural! I love using it alongside my Foreo Luna Mini 2 (review here) for extra cleansing power! For a great multi-tasking product, I’ve been loving the Lush Tea Tree Water because it makes a great toner, mist, setting spray and face refresh. This is an essential if you have majorly acne-prone skin like myself! 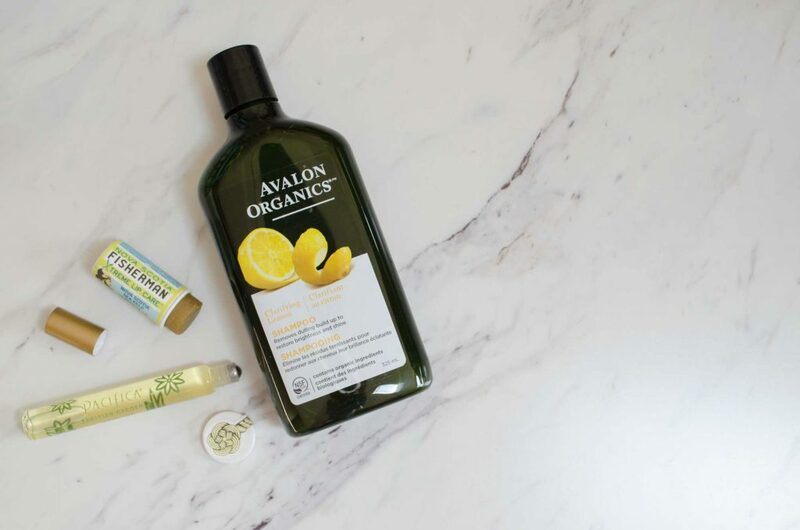 A long time love that I am continuously repurchasing is the Avalon Organics Clarifying Lemon Shampoo, which I’ve been using for YEARS now! I am in love with the scent to begin with, but this product also calms my extremely sensitive scalp. It’s a staple for me! Post shower-essentials are fragrance and lip balm. Always. I’ve been using the Nova Scotia Fisherman Xtreme Lip Care for a few months now and it’s definitely one of the most effective (yet not too slippy or heavy) lip balms I’ve used. It’s the only thing I’ve tried from the brand so far, but definitely need to try more! Lastly, I couldn’t choose one of the Pacifica roll-ons, because I love them all, but opted to share the Tahitian Gardenia with you today simply because it has the most “Earthy” scent of the bunch! I love all of these products I’ve decided to share with you! I’ve been using (and even repurchasing) them for quite some time! 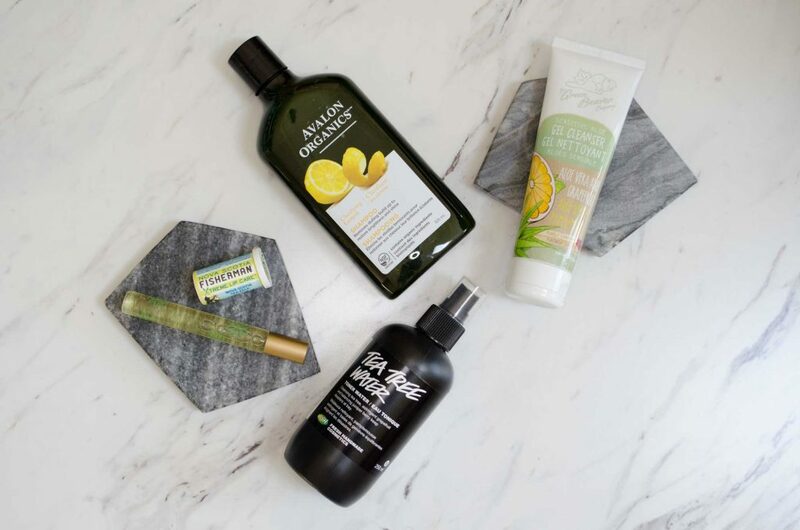 These brands all offer natural products that perform just as well as, and sometimes better than, the more mainstream products. There is no quality compromise when you switch to green living! Instead, when you choose to support these brands, you are also supporting our planet and animals! No animal testing goes into any of these products and there aren’t any nasty chemicals in them either! There are so many great resources that make these brands accessible, so I highly encourage you to try out some natural beauty if you haven’t yet! What natural products have you been loving lately? I need to try more, so please leave your suggestions. 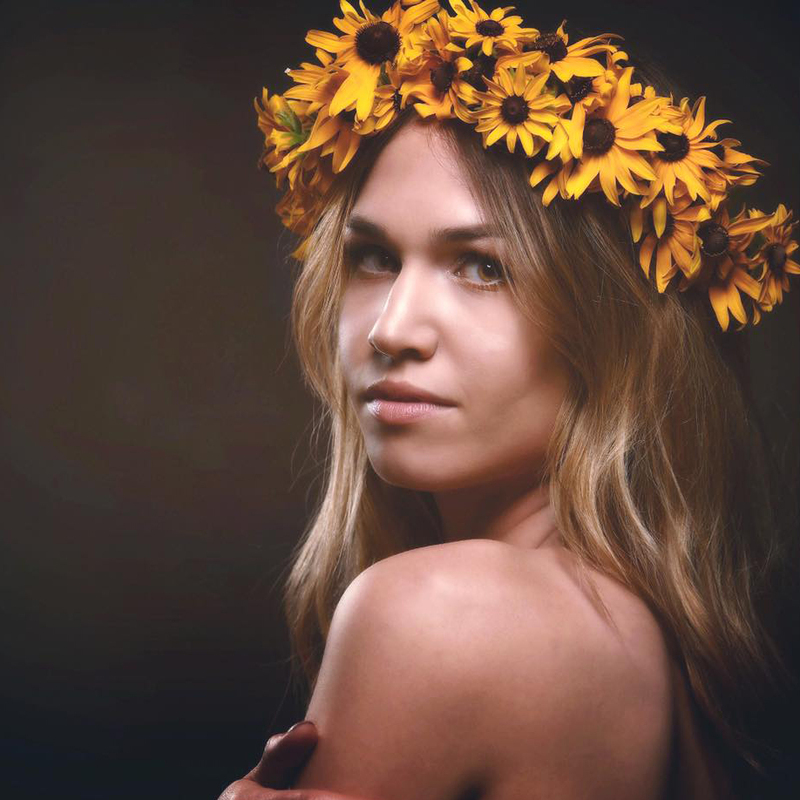 Hopefully this inspires you to try some natural beauty out if you haven’t yet!